Now that we learned about elevation, contours, topomaps, ridges, valleys, bearings and positioning let’s apply this knowledge in the field through a real-world hill navigation exercise. If required first read through this tutorial on reading bearings on maps and use of different types of compasses. 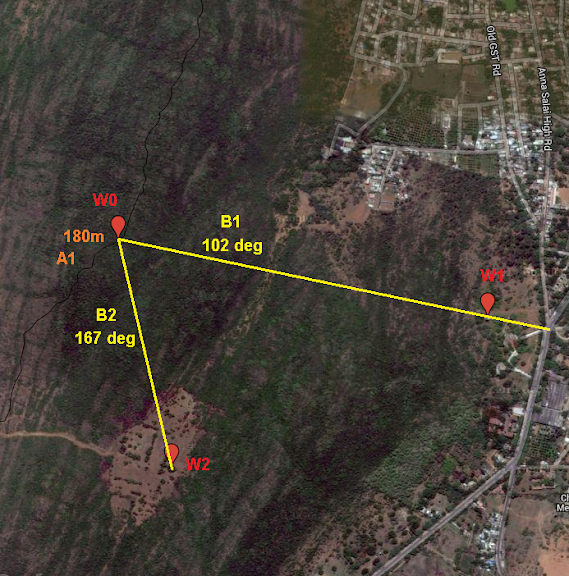 Important: ensure to view your trail in both terrain view (to see that it’s not too steep) and satellite view (to see that the vegetation is not too dense). 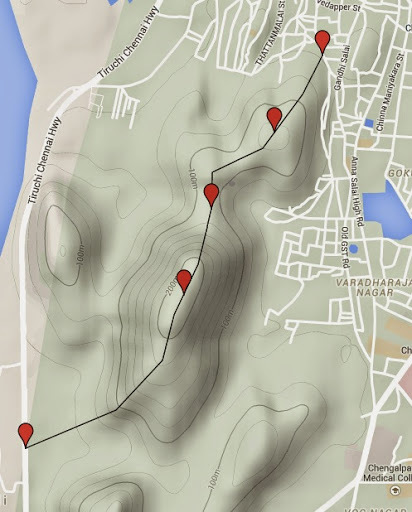 The hill range nearby Chengalpattu used in previous modules is not suitable due to dense vegetation. 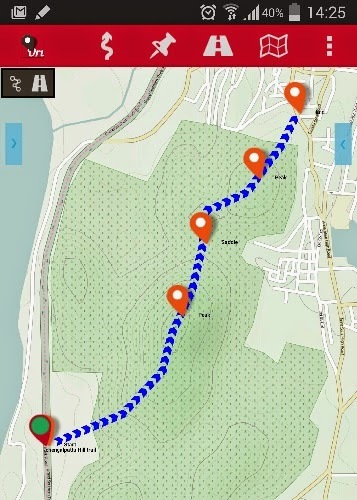 Create a few interesting waypoints: e.g. 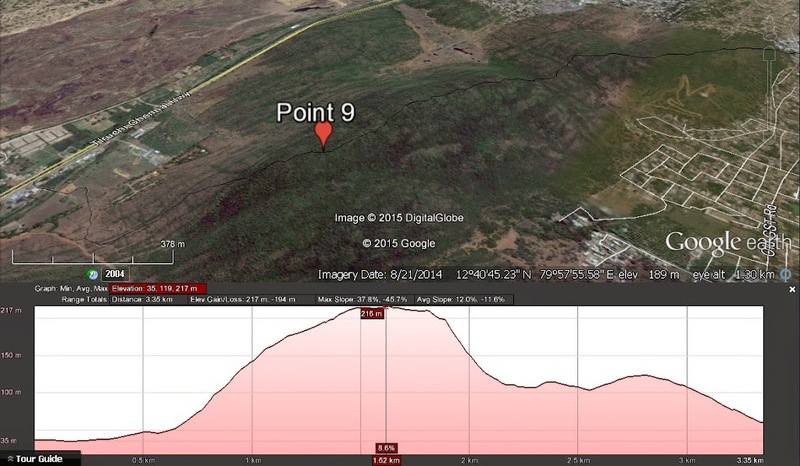 start/end point, peaks, saddles, existing trails, etc. 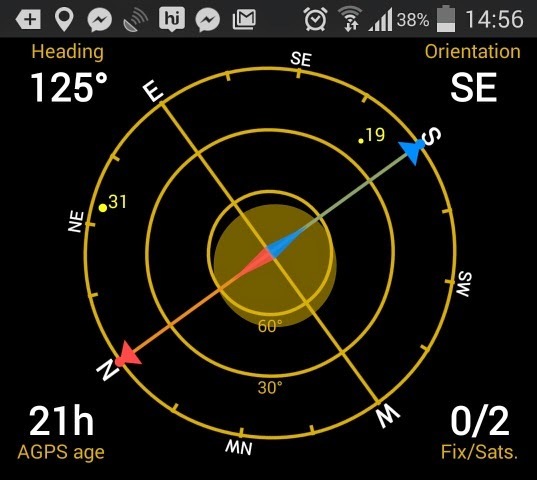 Use your magnetic or electronic compass (“GPS Status” app) to take a bearing B1 from your current location to the landmark. Submit your answers above for review in following form.